The islands of Hydra, Poros and Spetses are the stepping stones into the Argolic Gulf, since the yacht charter bases are all located in the Saronic gulf (Athens and Poros). Hydra itself is also useful to cross over to the Cyclades, usually to Mericha on Kythnos. Besides this, the island is a must-see and included in all itineraries or sailing routes in the Saronic and Argolic Gulfs. The nearest yacht charter base is Poros, but also the charter base of Athens is quite close. 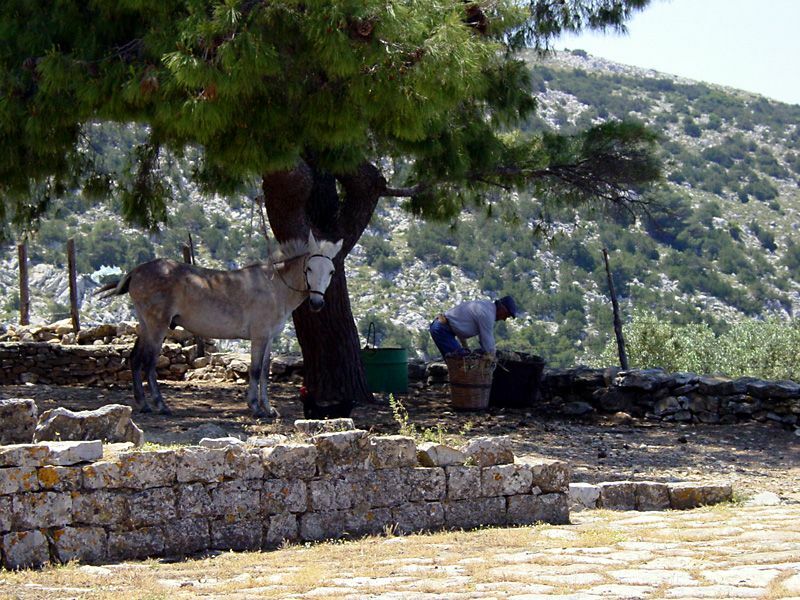 The image above: Hydra island - The friendly sexton of the famous 15th c. Monastery of Profitis Ilias (and his mule).
.: Back to Meltemi winds :.